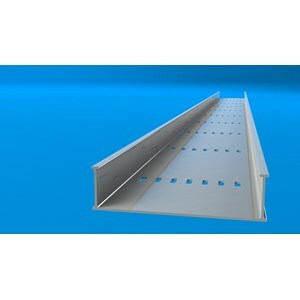 Cable tray is a cabling system commonly used for cable management in commercial and industrial construction. Materials used can be made of aluminum, iron, steel and other materials. Installation of this type of cable can not be done by careless people, who can do the installation is generally an electrical contractor. Is a person or company doing special construction works related to the design, installation and maintenance of electrical systems. In order to be safe and look neat an installation of insulated power cables used for the distribution of electrical industry and cable communications tray industry is urgently needed. PT. Star Delta Triputri is an experienced electrical contractor in its field and has already done electrical installation for non commercial, commercial and industrial buildings.